[size=14]Looks like the photo of the weight-lifting in one of the previous posts were not taken in today's training session in Nan Shan Secondary School. [color=red][b]Almost fooled and tricked by sina.com. Thanks for the updates PRYUEN. I thought so, the "Trust in Results" is the sign at the gym Lin goes to for his training in the Bay Area peninsula. Plus all the weights look too fancy for a Taiwan's secondary school gym, unless they specifically brought in for Lin. That's so Linsane! He's a rock star in Taiwan. This young man is going to be so rich, he got the best of both worlds, US and Asia. [size=13]Thanks for the updates PRYUEN. YEAH, I overlooked that English signage/motto. But Nan Shan Secondary School is THE school of Taiwan. They had won 6 championships in the past 20 years of the High School League; They had alot of alumni now playing in Taiwan's professional league, as well as in CBA in China. They are one of the very few high schools that had standard NBA basketball courts and gym facilities. That's WHY whenever Jeremy comes back to Taiwan, he used its facilities for his training, and also WHY when Sina.com used that photo in an article saying Jeremy trained for 4 hours there, I was almost fooled into believing it. But when I compared Jeremy's and Joseph's clothings from other photos to that weight-lifting photo, then I realized Sina.com randomly picked an old photo to use in that article. A few more photos of Jeremy at last night's Nike Summer Nights in Ximending. 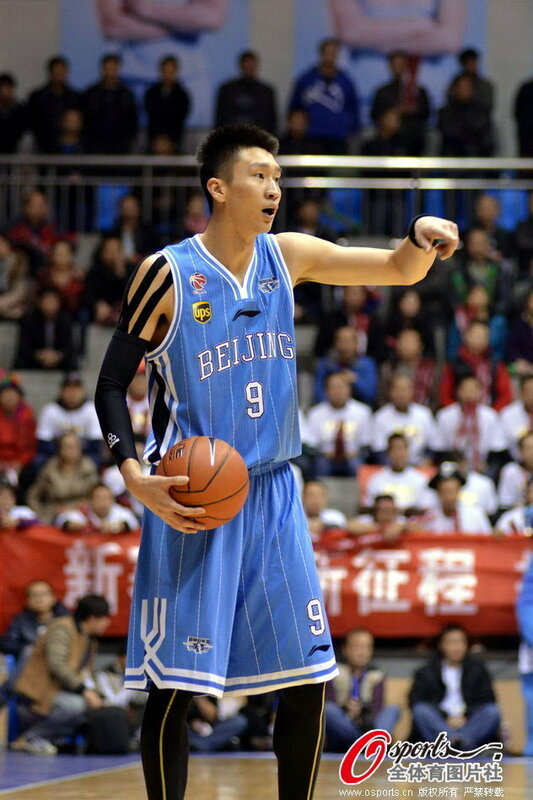 how would they feel if JLin were to play for the US national team? What do you mean by THEY??? The Taiwanese??? or the Mainland Chinese??? Presser on Jeremy Lin's press conference this afternoon. Looks like he will stay for another 2 days to spend some time with his grandma in Changhua before departing for Mainland China on Monday. Taipei, Aug. 5 (CNA) The popularity of NBA point guard Jeremy Lin, evident at a press conference in Taipei Sunday, was no less than that on display at a public event he attended a day earlier, with hundreds of reporters showing up to hear Lin express his gratefulness to Taiwan. 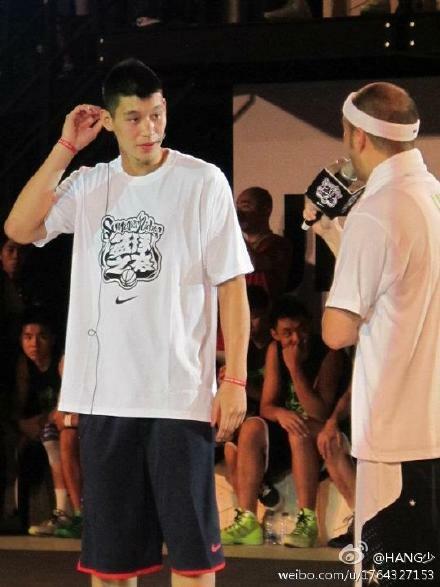 "Seriously, a big thank you," the first American NBA player of Taiwanese descent said. Sunday's one-hour press conference in Taipei's Xinyi District was Lin's first meeting with Taiwanese media in this country since "Linsanity" took the sports world by storm in February. "I've never gotten this type of reception before," the 23-year-old point guard told some 300 journalists, adding that Taiwan has given him more support than anywhere else. He said that Taiwan is very special and means a lot to him because it is where his parents were born and raised, and he still has many family members living on the island. In addition, he added, the support from his Taiwanese fans makes the country even more special for him. "The way that you guys embraced me, accepted me, cheered for me and supported me through the tough times. That means a lot to me" Lin said. "I appreciate your loyalty." Lin's parents and younger brother were also present at the press conference. After Lin's arrival early the previous morning, he practiced and trained for nearly five hours at a school gym in New Taipei before attending a sponsor's event in the Ximenting area of Taipei, where he shared his basketball skills with some local talent. "The energy was crazy (last night)," he said of the heartwarming welcome he received. As for his upcoming plans, he said that since he has a lot of family members here, he will not be flying on to China as soon as Monday. The China trip is part of his Asian tour. He also said he looks forward to returning to Taiwan for a basketball clinic scheduled for Aug. 27-30, in which he will coach a group of 120 young players. He said basketball is very big for him and so is Taiwan. "One thing that I love doing is coming back and teaching a basketball camp here and spending time with younger players," said the NBA sensation. He also pointed out that parents' support for their children who want to develop in other fields as well as academia is important. Lin has visited Taiwan every summer since becoming an NBA player in 2010. During his previous two trips, he was still a member of the Golden State Warriors. It is Lin's first visit to Taiwan since his meteoric rise from obscurity with the New York Knicks earlier this year and his recent signing of a three-year, US$25 million contract to play for the Houston Rockets. He will also attend another sponsor's event Sept. 1 and an evangelical gathering hosted by a local television station Sept. 2. Presser of Jeremy Lin talked about Yao Ming. Taipei, Aug. 5 (CNA) Basketball sensation Jeremy Lin said Sunday in Taipei that he does not see himself as having to take the place of former Rockets star Yao Ming. Asked during a press conference whether Yao is a pressure or motivation for him, Lin said he has always looked up to the 31-year-old Chinese ex-player. However, the 23-year-old point guard said he doesn't see himself as having to "fill his shoes or anything like that." "My goal is very simple, and that's just to get as close as I can to reaching my personal potential," said Lin. When asked what he thinks of being described as the Chinese player's successor, Lin said "what I have done is nothing compared to what Yao has done." "What he did through his career helped me a lot, and so what I want to do is help other people as well, help younger kids, and inspire other people to play basketball," said Lin. The first American NBA player of Taiwanese descent was also asked how he perceives the debate surrounding his heritage. In response, he noted that his great grandparents and grandparents were born and raised in China, his parents are from Taiwan and he was born and raised in the United States. "So there's a lot of history behind who I am as a person," he said. After his short visit to Taiwan, Lin will fly to China for a basketball camp as part of his Asian tour. He will return to Taiwan in late August to host a similar camp for a group of 120 young players Aug. 27-30. U gotta be a top 10 PG first, son. Video from the 1 Hour Press Conference in Taiwan. 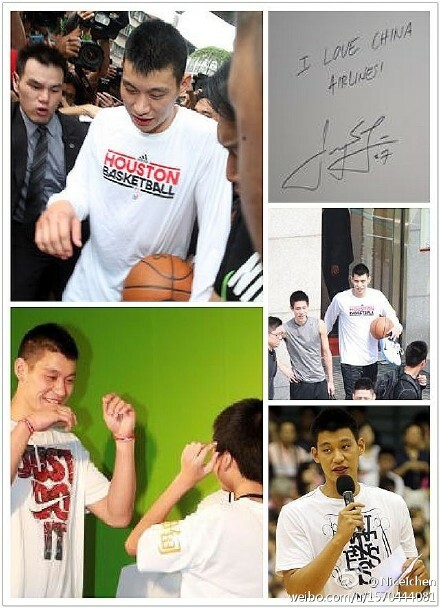 Jeremy Lin had left Taiwan yesterday afternoon for Mainland China. His first stop is Beijing. He was pretty low-key upon his arrival in Beijing in the evening around 19:30 pm. There was no fans and no media at the airport waiting for his arrival. He and his family used the VIP channel and swiftly cleared immigration/customs. 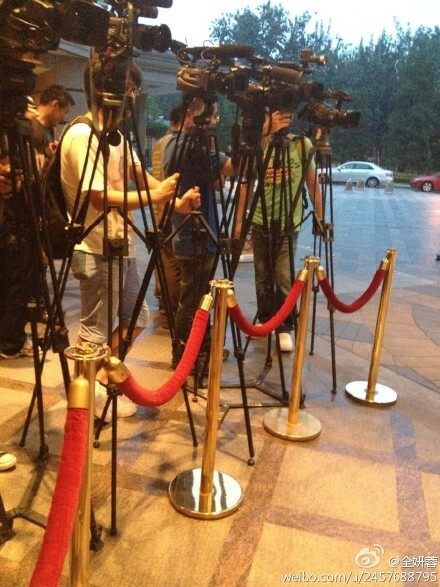 And there was also no fans but only media waiting at the famous St. Regis Hotel for Jeremy. But he did not receive any interview and just went straight to his hotel room. He later again went out for his 2-hour training with his coach at a nearby facility. He will stay until the 11th in Beijing before flying to Shanghai. Online Q&A over sina.com weibo for fans in the afternoon of August 8 together with the founder and current Chairman of the Geely Automobile, Li Shufu; Geely is the second largest private automobile manufacturer in China and had acquired Volvo since March 2010. A visit to a secondary school for migrant workers in Changping, a satelitte city/district of Beijing morning of August 9. Some photos of Jeremy leaving Taiwan and arriving into Beijing.